Once replays have been created they can be automatically shown online, meaning the highlights are instantly available to players, fans and sponsors to view and share. It turns your venue into an online TV channel. 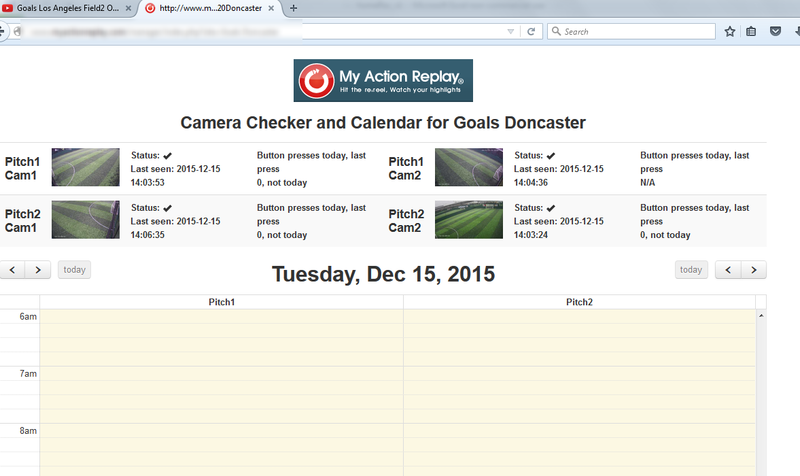 To enable highlights to be viewed online the game or training session must be entered into the My Action Replay calendar before the session starts. 1. 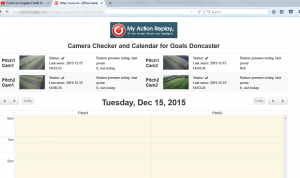 Open a web browser and put in the address of the My Action Replay calendar for your venue. This address and the username and password are available from your Venue Information Guide or from your My Action Replay Manager. It’s a good idea to bookmark this site from the PC you will administer the calendar on. 2. 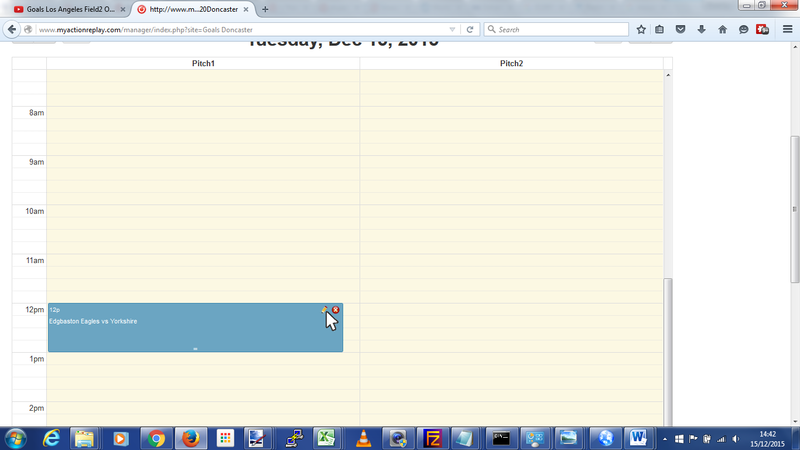 You should now see a calendar page similar to the one below. At the top of the page it lists the cameras at your venue and their current status, including a snapshot from the cameras which will be up to 5 minutes old. 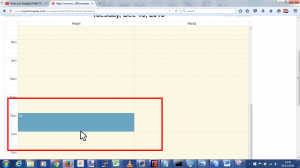 The calendar is the section beneath where you can enter in the games and training sessions that you want to go online. 3. Ensure you have the correct date – you can move to different days by clicking on the left and right arrows. Note the pitches or courts are across the columns and the times are down the rows. 4. 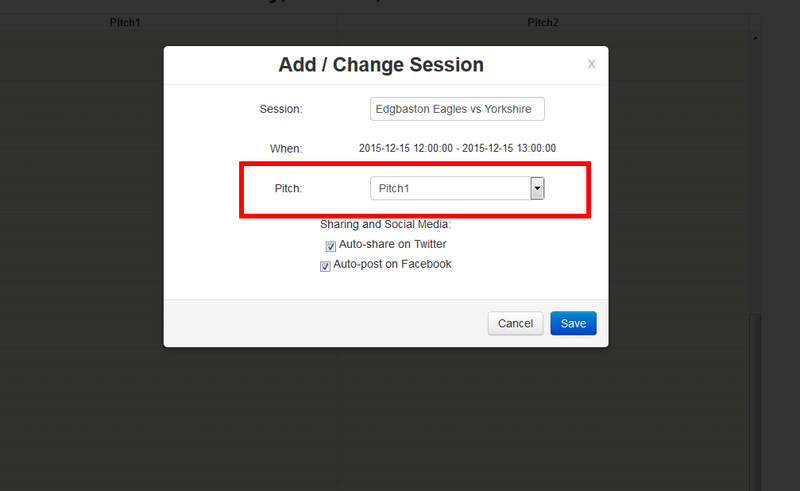 Left click in the section on the calendar in which the match or training session will start. 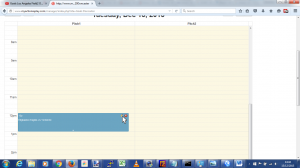 Drag the box to the end of the session then release the mouse button. 5. Enter the team names or training session title. 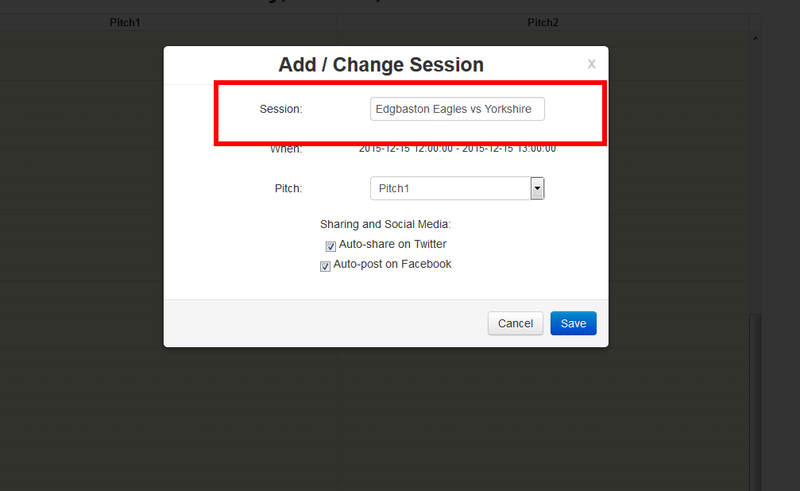 If the team or players have a twitter handle you can put this in the box. This information will be used to label their replays. 8. 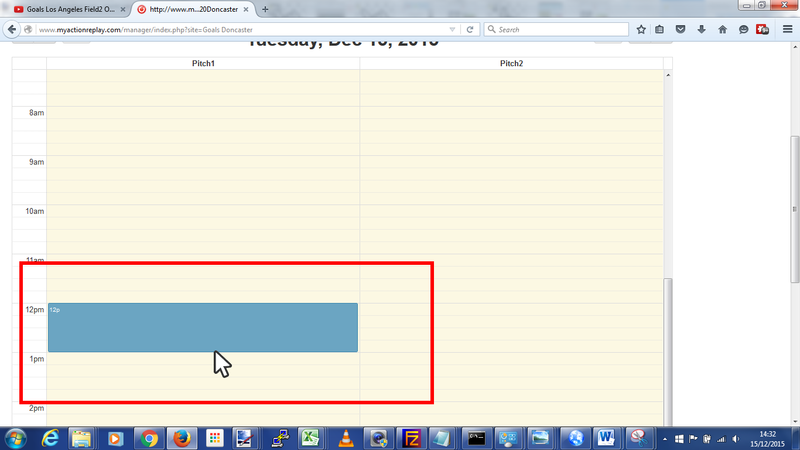 To edit the session you have just created move the mouse over the blue block and click on the pencil icon. 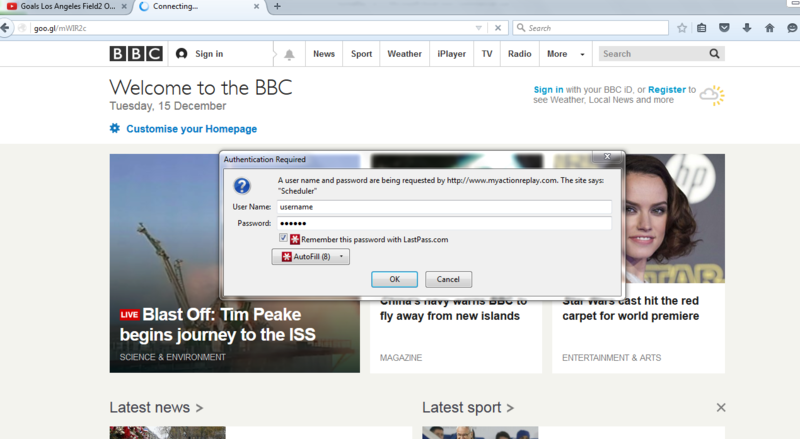 To delete it click on the red cross. 9. 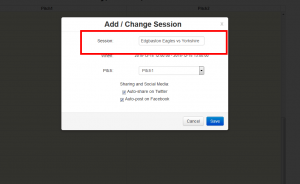 You can alter the time of the session by clicking on it and dragging it to a different time, or by click and dragging on the top or bottom side of the block to reduce or extend the time of the session. 10. Note that it can take 5 minutes for all cameras to be updated with the session information. The earlier the details are entered in the calendar the better. 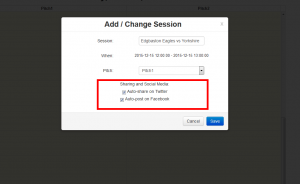 Once the match or training session is setup the replays that are created they will be uploaded online and be available to watch. You can really make the most of them then. For details on how to view the replays online see the ‘How To: watch replays online’ guide – click here. 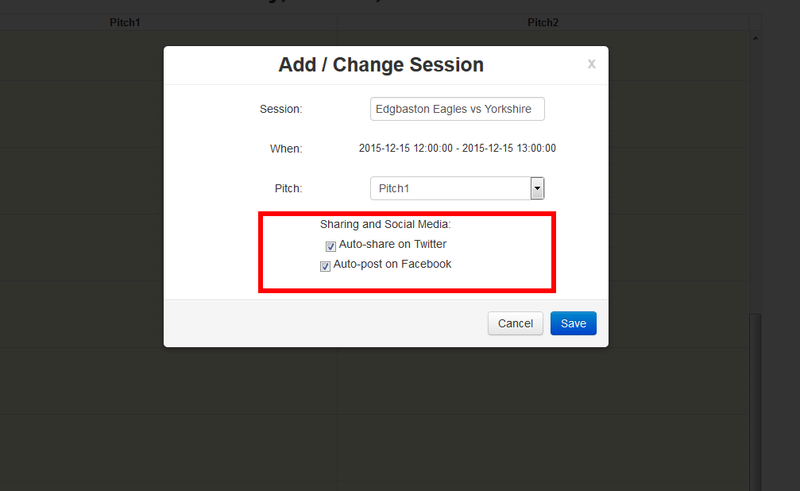 * For details on how to allow My Action Replay to automatically post to your Twitter and Facebook pages please contact us on support@myactionreplay.com or call 0845 838 7427.